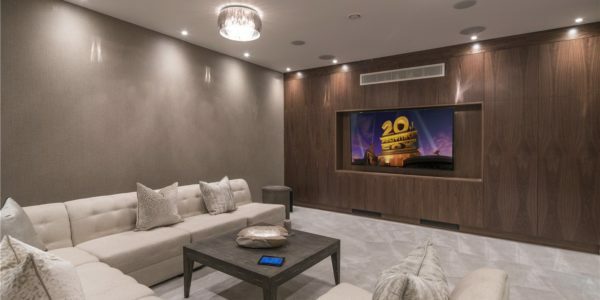 At APT Renovation Design + Build, we pride ourselves on providing original and creative design solutions, an integrated design process, eco-friendly building materials and technologies, high quality craftsmanship, and above all, extraordinary customer service. 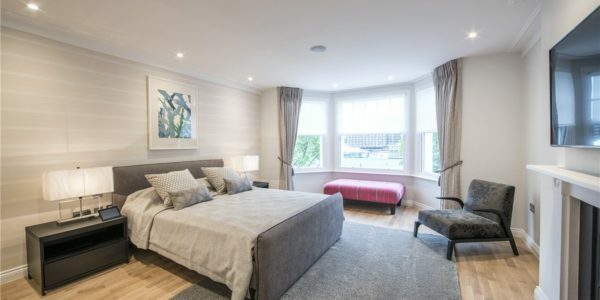 APT Renovation loft conversion company based in London offers all types of loft conversion covering Wandsworth borough and Oxshott SW19 district. Our company works towards impact your living environment for added comfort and increased scale. 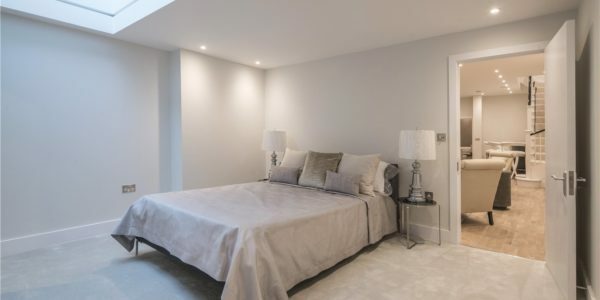 It is not surprising that loft conversions are the most popular form of residential property conversion, and with the relatively liberal planning permissions associated with them, obtaining a loft conversion is an excellent way of renovating your property. 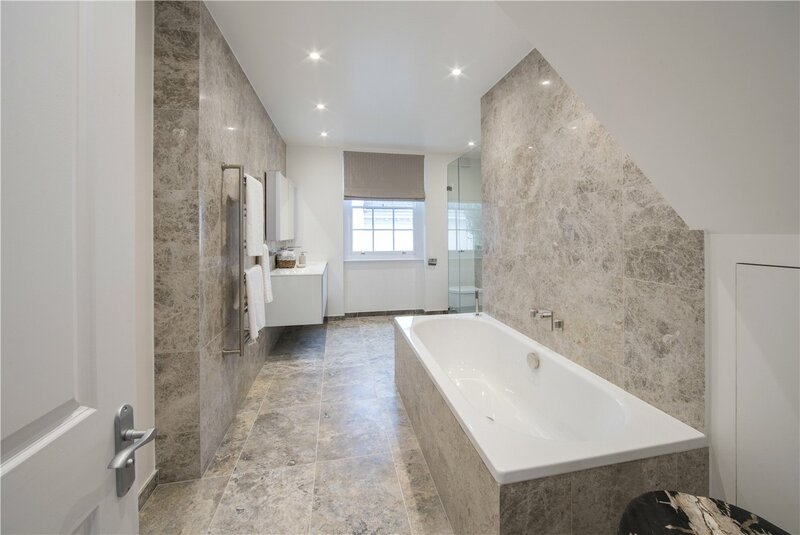 APT Renovation has a strong background in successful loft conversions of all types in Oxshott, featuring across South West & West London. 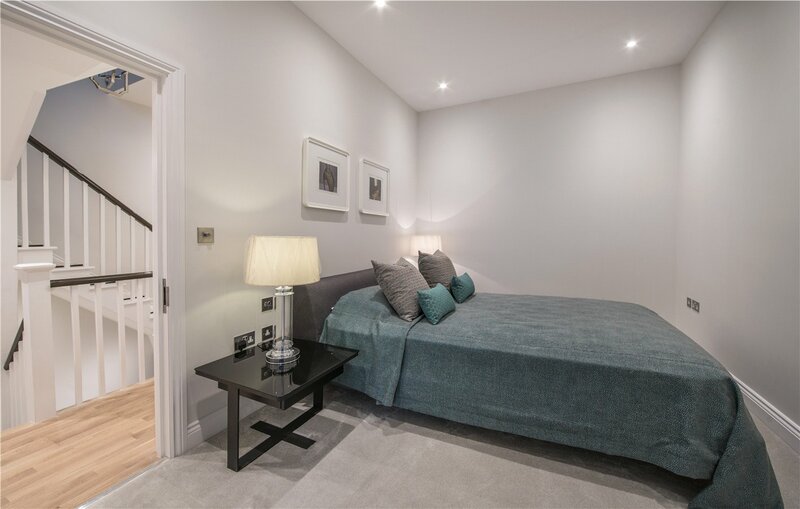 With our architecture, structural engineering and construction expertise, we are London’s loft conversion specialists of choice. 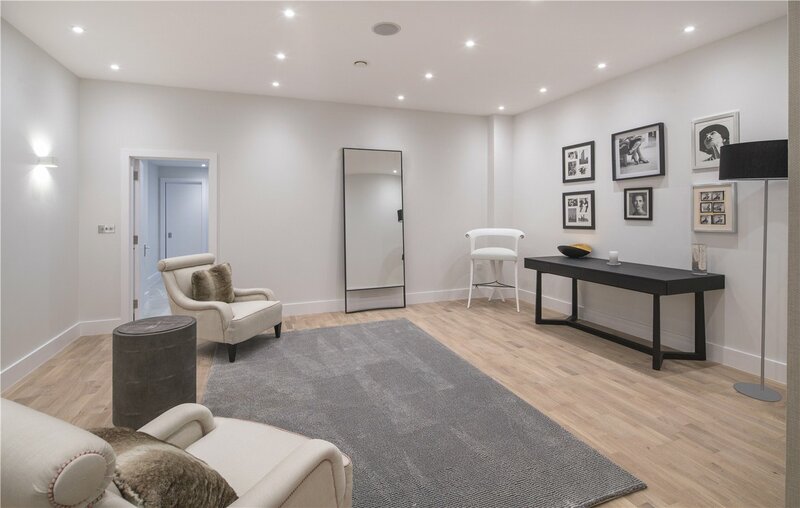 With no third-party communications or sales involved, you can be assured that APT Lofts will design drafts, obtain planning permissions and build your loft conversion to the highest standards, using materials of the finest quality. The types of loft conversion designs you can consider are Dormer, Mansard, Hip to Gable and Velux. 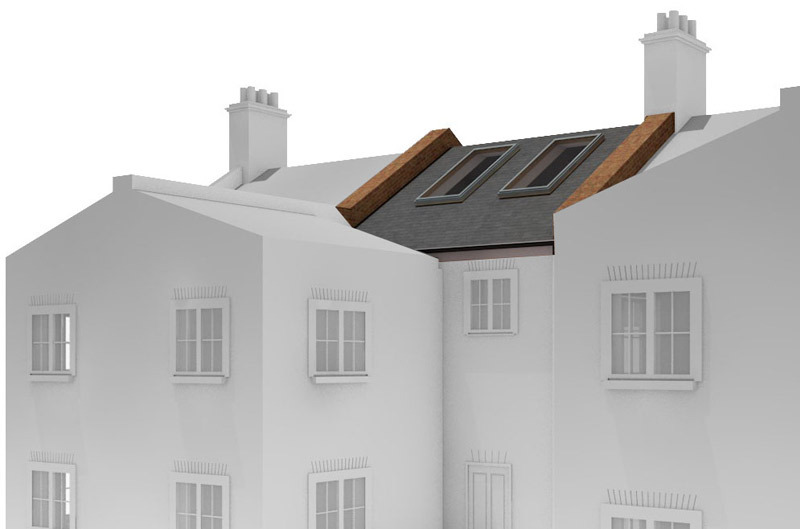 The existing layout of the roof, and certain restrictions that apply will determine what kind of loft conversion you will be permitted by the local authority to go ahead with. 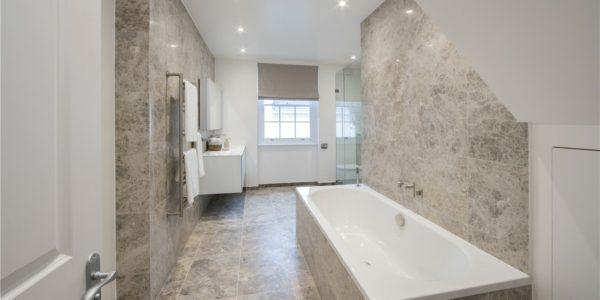 APT Renovation can advise you when we make our free, no obligation visit. Many clients ask “can we still live in our house during works? Our answer is a simple Yes! As 80% of materials will be brought in via the roof. 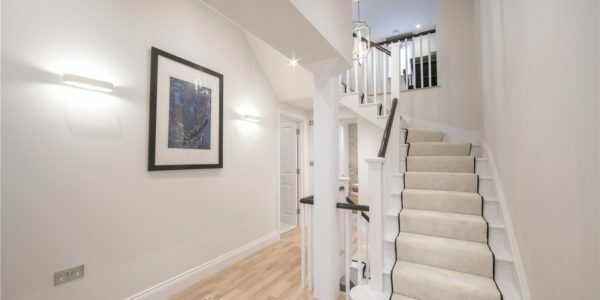 Design and Build is a new approach for many residential and commercial projects located in Oxshott; incorporating architects, quantity surveyors, party wall engineers, structural engineers and the finest builders. 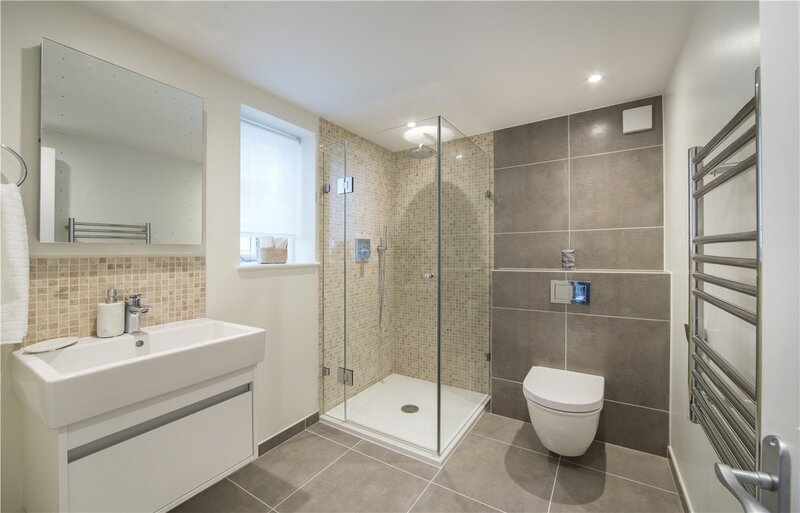 APT Renovation provides every service; including architectural planning, building regulations and planning permission, structural engineering and the building and managing of your project, which fits your budget and your needs. 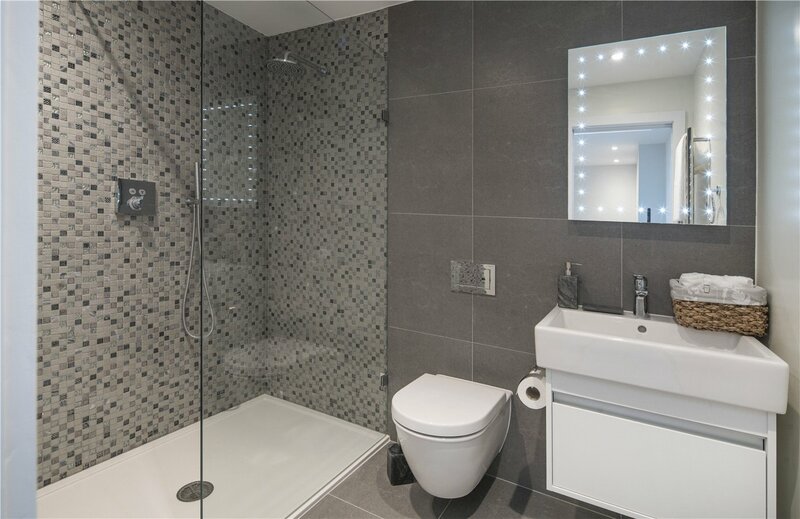 Many of our clients require a full Design and Build service, incorporating both design and building management so they can have a close relationship with just one main contractor. 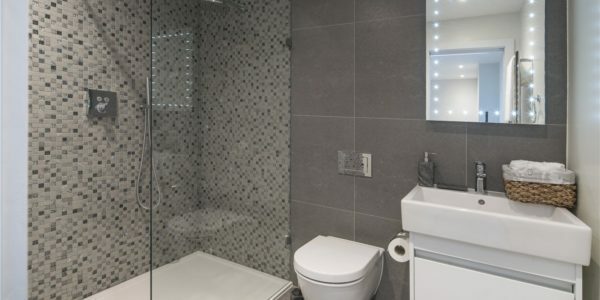 Our firm will have overall responsibility for the delivery of each project from initial design ideas right through to engineering, building and completion, ensuring that all budgets and timelines are met. 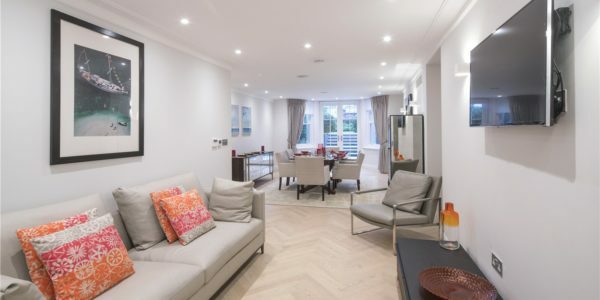 As architects, designers and builders we at APT Renovation know that many home owners find it quite inconvenient to find an engineer and architect, apply for planning permission and then find a reputable builder. A real benefit of our Design & Build service means that we work directly with architects on your behalf so you only have to deal with us. We are able to manage the entire design and build process. Our service is fully comprehensive, covering everything from your initial design ideas, all the way to the completion of your project. 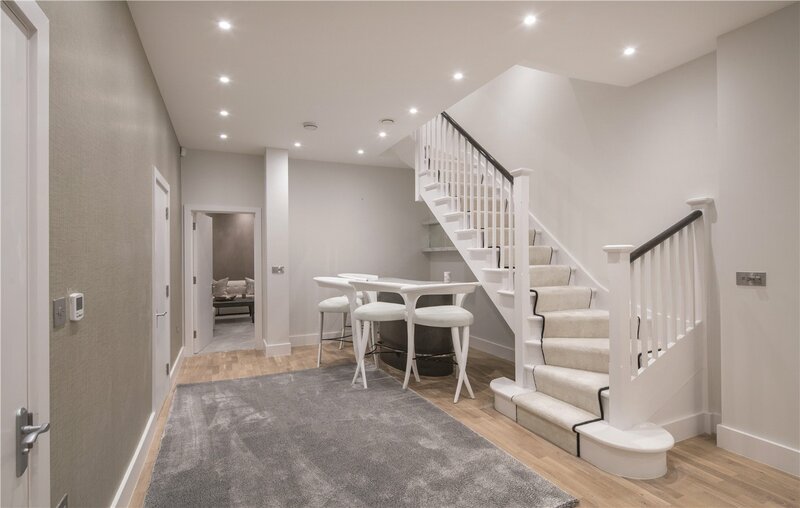 Design Consultants, Architects, Structural Engineers and Builders who have over 10 years of experience as a team in modelling, designing and building beautiful homes across London. One of the greatest reasons to choose us is that we save a great deal of valuable time for our clients. 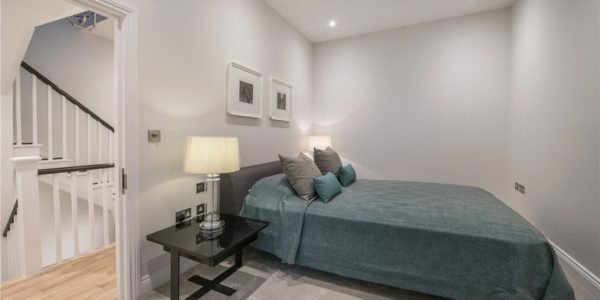 We take care of all aspects of your project, including planning applications, project cost estimation, development of detailed designs, and specification of fine materials and finishes. 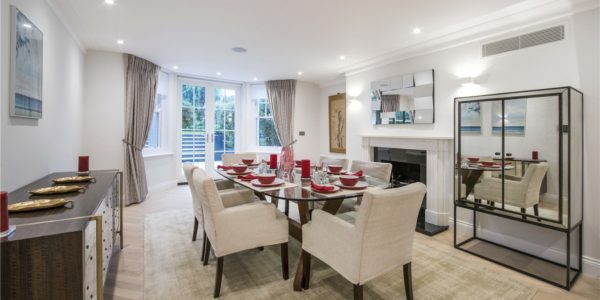 This particular client requested that we give their St Johns Wood property a full renovation and remodelling in terms of design and structure. 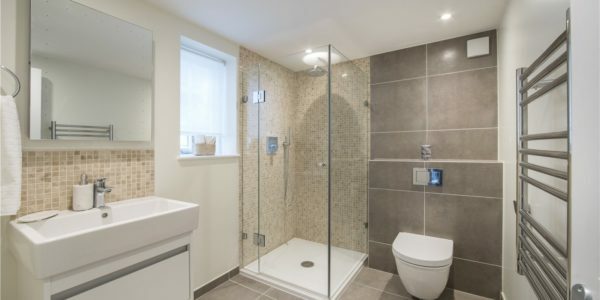 They also wanted to increase the space with a loft conversion and extensions. 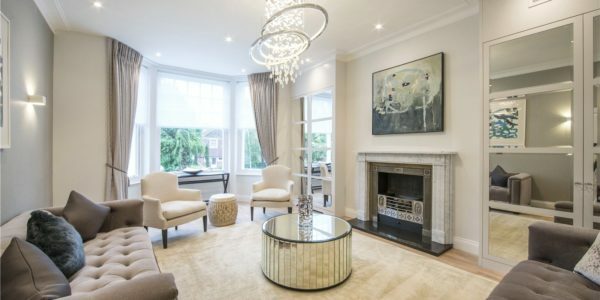 Our team managed to completely transform the interior design in this property to a more sophisticated and modern finish. 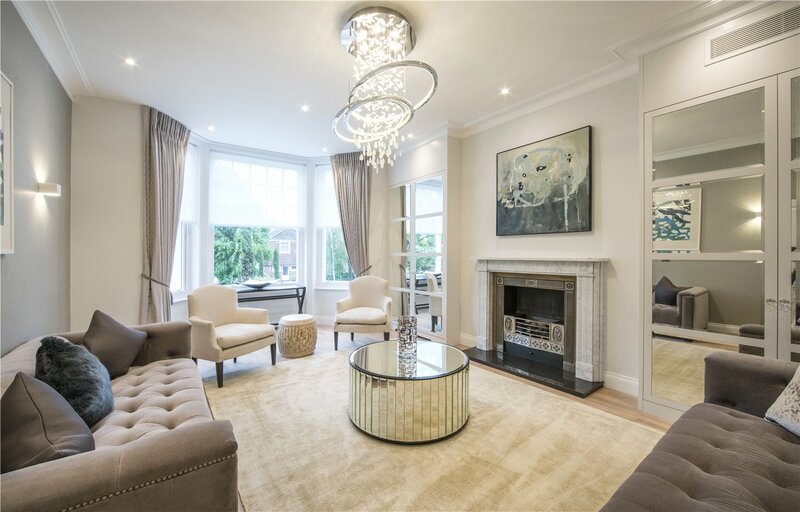 In the lounge area, we opted for light, pastel colours, large windows, bespoke mirrored cupboards and state of the art lighting. 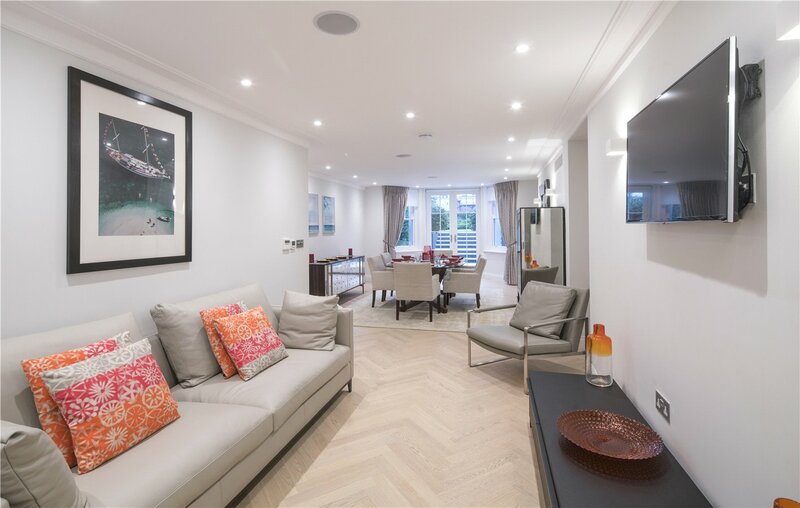 For the flooring, we used gorgeous beech wood in most living areas. 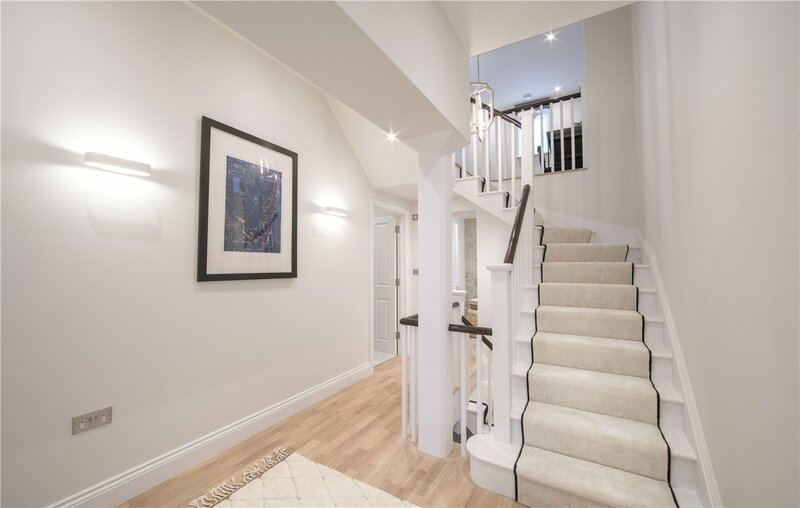 We also completely revamped the staircase, and fitted ceiling lights in most rooms. 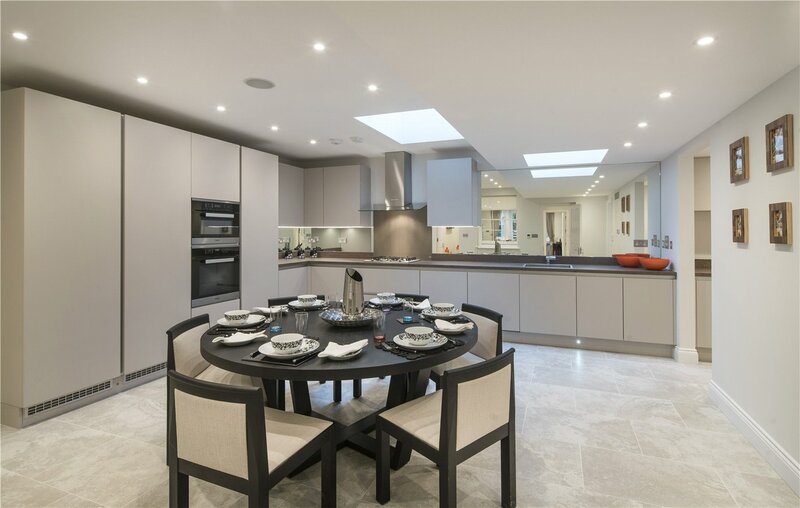 In the kitchen area, we installed mirrors to create the effect of a larger space and fitted the flooring with marble tiles. 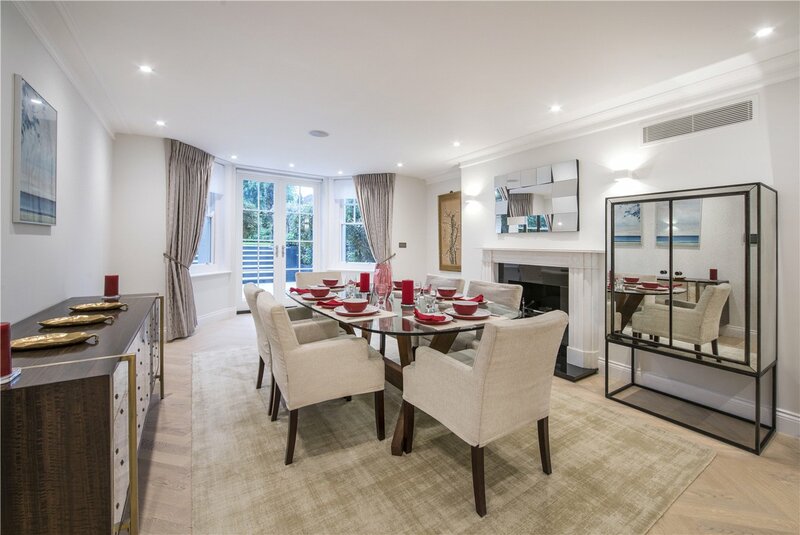 Our joinery created lovely bespoke kitchen units and fittings throughout the property, in a range of different colours and uniquely designed styles. 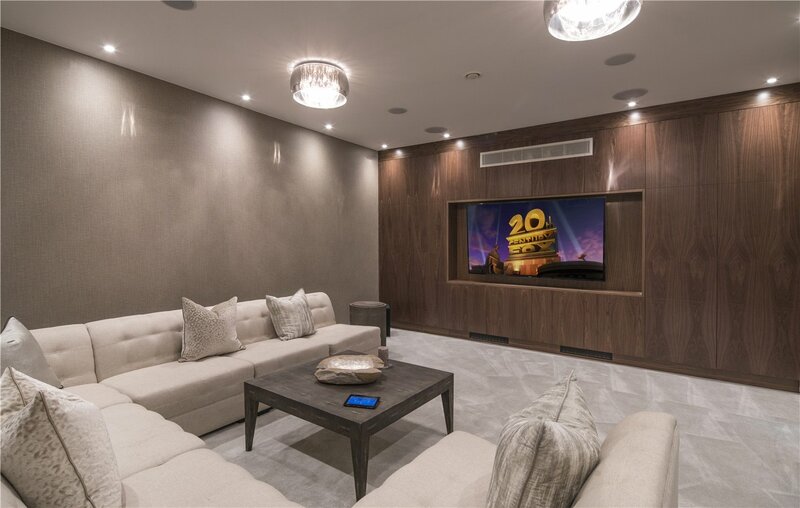 We carried out a basement conversion and turned it into a fabulous entertainment room, creating a really cozy vibe, complete with corner sofas and wooden walls and adjustable lighting. 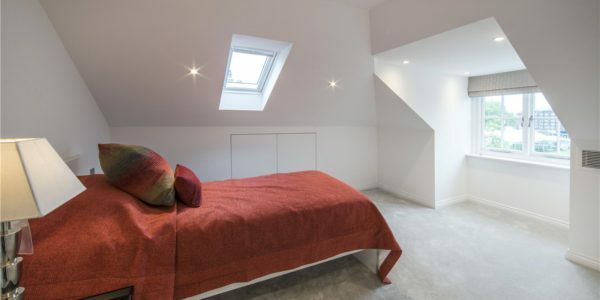 A loft conversion also took place to create homely bedrooms with skylights. Architect, designer, project manager, structural engineer and full construction team all under one roof for an all inclusive on service. 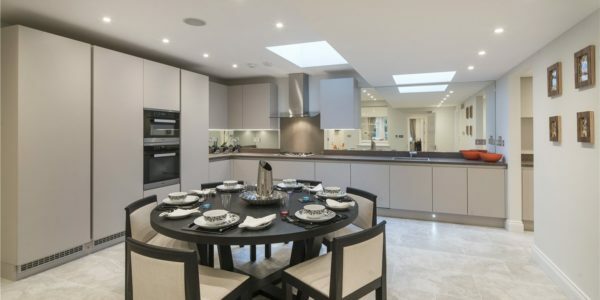 If you live in Oxshott and looking for dormer loft conversion is a structural extension which projects vertically from the plane of a sloping roof. 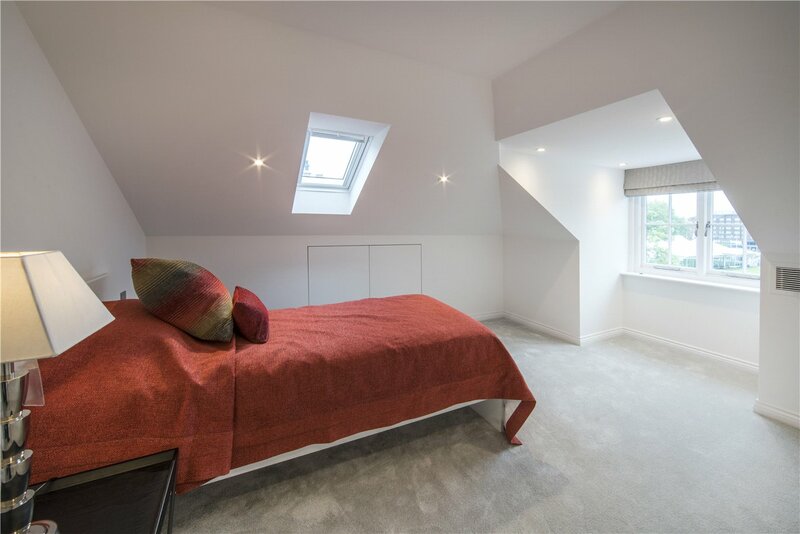 By building a dormer onto an existing roof, a cramped attic can be transformed into a usable space thanks to the creation of additional headroom and floor space, with natural light coming in from the dormer windows. The most popular type of dormer conversion in the UK is a simple flat roof dormer. As well as being the cheapest form of dormer to build, a flat roof dormer also offers the largest amount of additional internal space. A shed dormer also features a flat single planed roof, but sloped downwards at an angle shallower than the main roof. Often used on homes with a gable roof, a shed dormer usually requires different roof sheeting to that of the main roof. A gable fronted dormer or “dog-house dormer” is a more attractive option which consists of a gable wall extension built up to the existing ridge line, and a new roof section built outwards to the new gable end. Similarly, a hipped roof dormer is an aesthetically pleasing option featuring three sloping planes of a hipped roof converging at the ridge of the dormer. 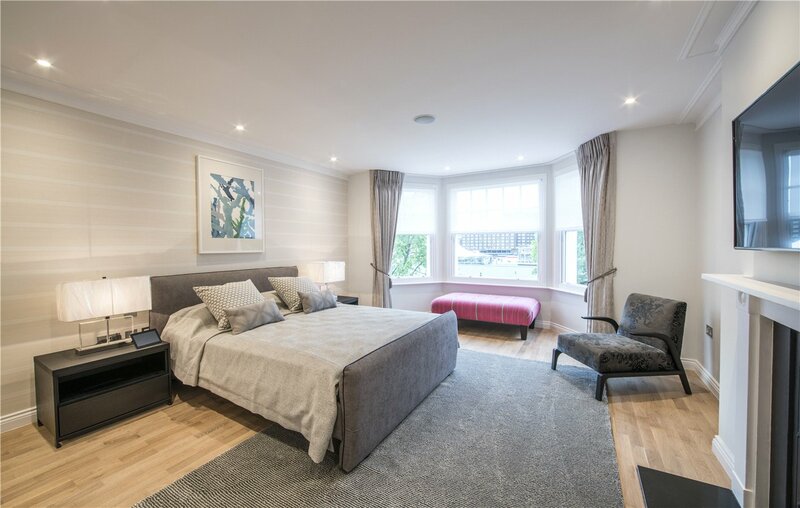 Mansard loft conversions often require more construction work than other types of loft conversions, but can result in creating a significantly larger living space in your home, regardless of property type. 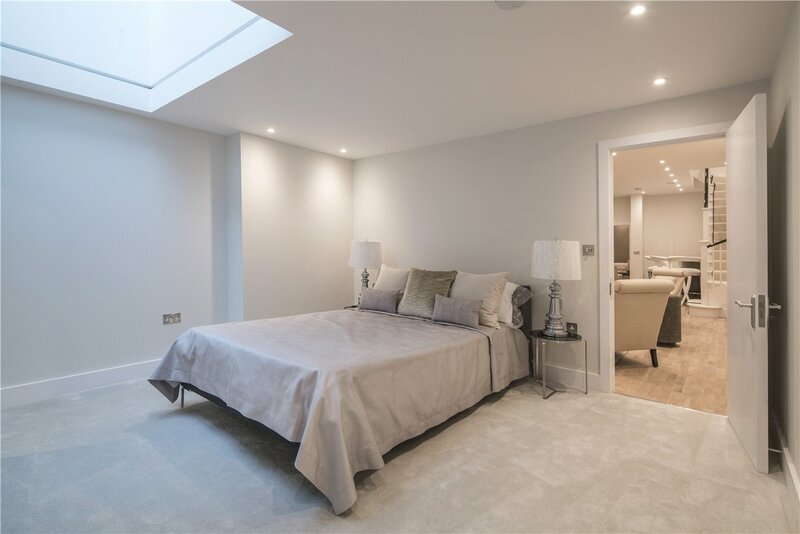 Here, we provide answers to some of the most commonly asked questions about mansard loft conversions. 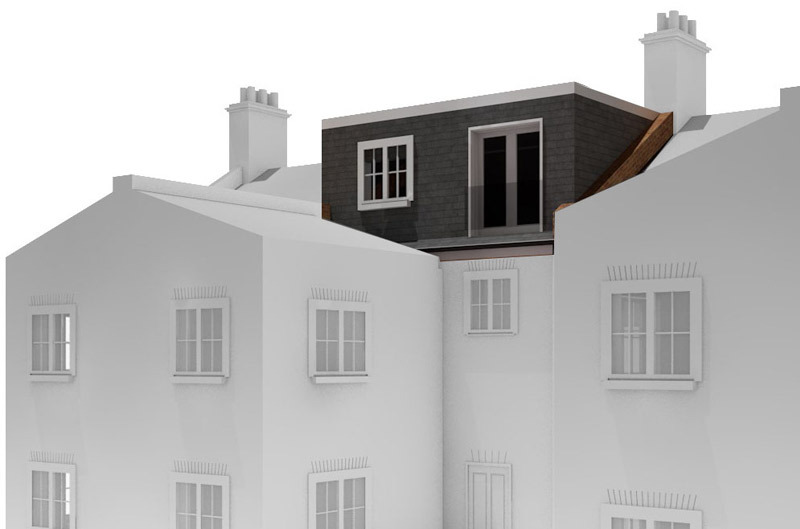 Is Planning Permission Required for Mansard Loft Conversions? Planning permission is almost always required for this type of extension. These conversions create maximum living space within your roof by effectively creating another storey to your property. As this results in changes to the roof shape and structure, it is highly likely that planning permission will be needed from your local authority. 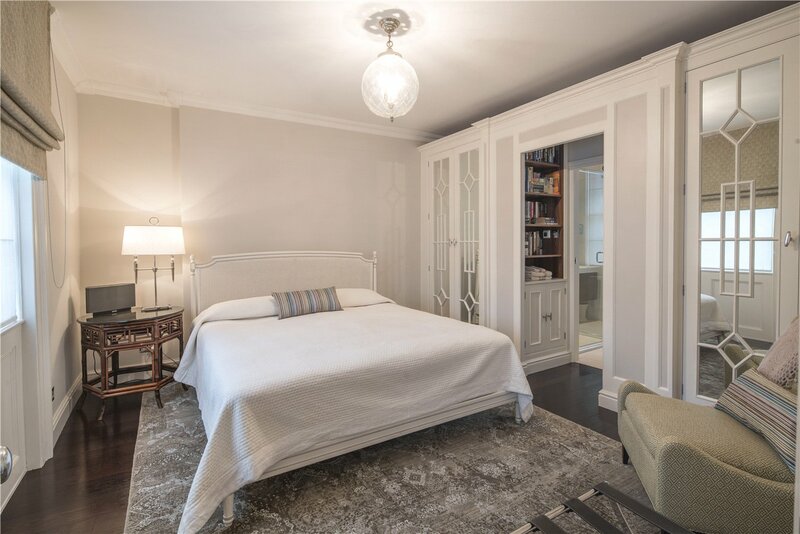 What Types of Houses are Best for Mansard Conversions? Mansard roofs are particularly common in London and other urban areas and can often be seen across whole rows of older terraced properties. Although not regularly seen in suburban areas – flat roof dormers are typically cheaper and simpler to construct – mansard roofs are actually suitable for almost all types of properties. Detached, semi-detached and terraced houses, as well as chalets and bungalows, can all typically house mansard loft conversions. In terms of aesthetics, the external walls of a mansard extension can be exposed brickwork, rendered or clad with slate or tile whichever best fits with your property. 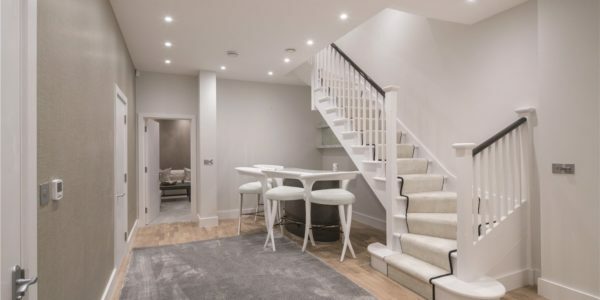 Mansard loft conversions often require more construction work than other types of loft conversions, but can result in creating a significantly larger living space in your home in Oxshott, regardless of property type. 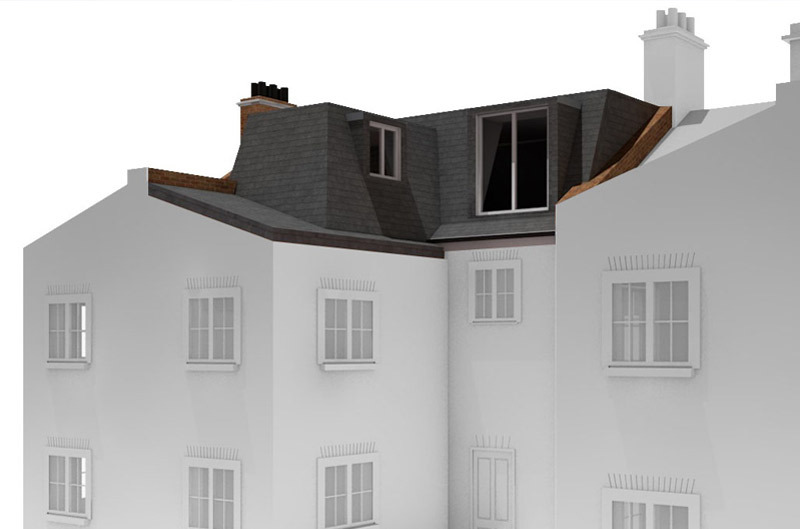 Here, we provide answers to some of the most commonly asked questions about mansard loft conversions. Hip to gable loft conversions are becoming an increasingly popular way to create extra room in a property. But before committing to extending your home with this type of loft conversion, there are a number of things you need to know. Here, we take a look at what hip to gable loft conversions actually are, any limitations or restrictions you might need to consider, and also how to calculate the volume of these loft extensions. Most properties have a regular, ‘hipped’ roof with a sloping side. This means existing loft spaces are often limited, making it difficult to create a loft conversion without extending your property. This is where hip to gable loft extensions come in. 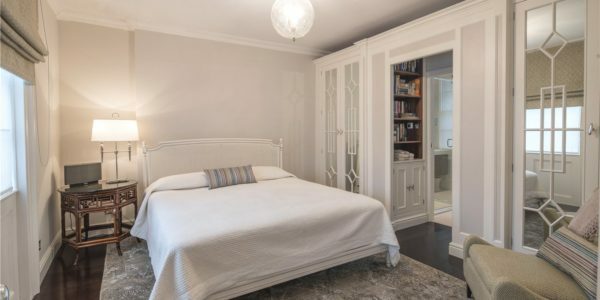 This type of loft conversion extends your property on the sloping side, effectively replacing the sloping roof with a vertical wall (the gable) at the end to the same height as the ridge, and filling in the space in between. 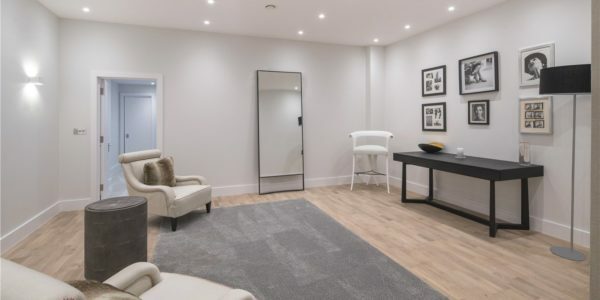 The added space can then be used for whatever purpose you see fit, although typically its big enough for an office, play area or an additional lounge space. If your property has two sloping sides and you replace them both with vertical walls, it will be a double hip to gable loft conversion and will obviously provide you with even more additional space. Velux is the name everybody knows about when it comes to superb quality roof windows, and is essential for any loft conversion in Oxshott. 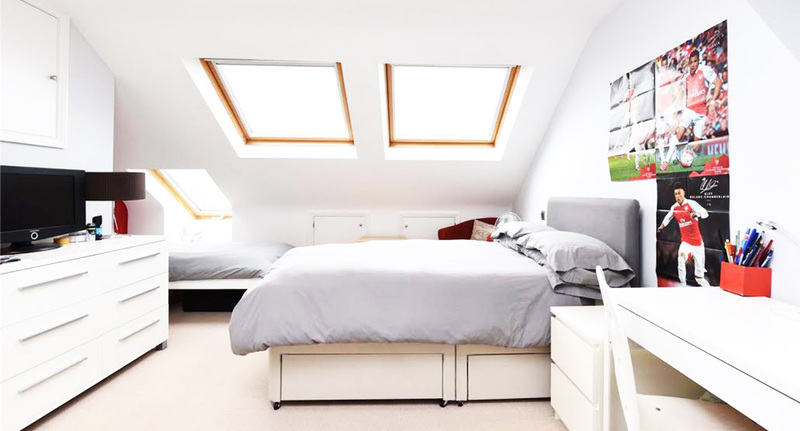 Velux are not just attic windows, they are also essential for flat roof or pitched roof extensions, perfect for bringing in lots of natural light and fresh air into the newly created room. They are also a great way to save on your energy bills by reducing the need for artificial lighting. Our APT Renovation experts can install your Velux windows and ensure your loft conversion will look modern and practical. With lots of different Velux window designs to choose from, we can give you advice and help you choose the design that’s best for you. Velux windows are not only designed to light up your loft conversion, they are necessary to ventilate your loft in the summer months. Our team will install your Velux windows without any worry of leaks or drafts.